I just wanted to get some thoughts about why I hate the media’s agenda so much. Of late, I have felt less and less inclined to watch the media and hear the news. One of the sad things about a democracy is that we rely upon the news to determine our political action. Hearing about the state of the culture, the efficiency of political parties in aiding the common good, and how laws negatively or positively affect society determines how we vote, when we rally, and the positions and arguments we articulate. People will generally apply their political philosophy, ethics, and personality to new problems; but, the only way we learn about new problems so that we may apply the above facets of ourselves is through the media. For which reason, it behooves the media to be as objective as possible. There is a real need for media groups containing both conservatives and liberals so that each political ideology can correct the excesses of the other. Another sad thing about the present state of affairs lies in how much aid and comfort the media’s culture gives to collectivists. In the above video, Sargon of Akkad well describes how both Antifa and the Alt-Right are benefiting from stopping intelligent dialogue. Essentially, conservatives are collectively being dubbed fascists, and liberals are forced to conform to socialist group think or driven out of the Left on a rail. And, in all liberal activism, the greatest villain is the Christian, conservative, heterosexual man of European descent. Liberal college professors especially target this group for shaming. I might add that a close relative, while in post graduate education, received his worst grades from two liberal black professors. Another relative of mine, while visiting her daughter in North Carolina, was actually called a fascist–despite being a rather rotund, old Hispanic woman! And, one can point to the recent Democratic Presidential Convention as a public example of the Left courting the support of minorities while speaking ill of whites–and law and order, for that matter. 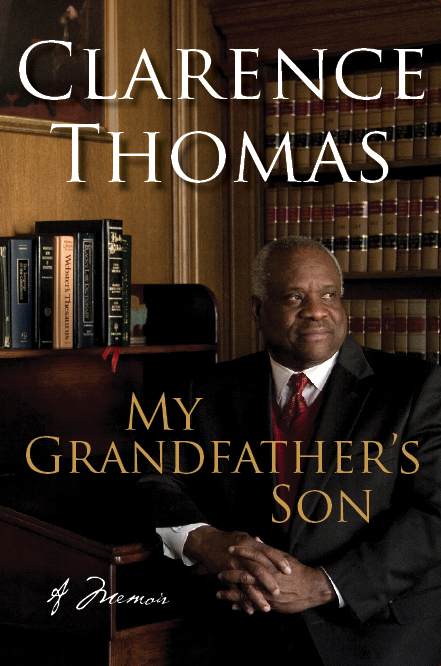 Ordering my thoughts on Clarence Thomas’s masterful autobiography has taken me some time. One might expect a lawyer’s autobiography to be dull material, but Thomas’s life was a series of overcoming one struggle after another. This made for an almost thrilling read, and yours truly could barely put the book down. His writing style showed a clear and distinct voice, which made his struggles feel vivid. I can’t recommend the book enough. The beginning of Thomas’s life consisted of one long fight against poverty. His mother felt unable to care for her two sons properly by a certain point after being abandoned by Thomas’s father. So, their care was given over to Thomas’s grandfather, who labored hard to eke out a living in the poor Savannah of the 50’s and 60’s. Thomas credits his grandfather for bestowing on him a great work ethic and for sending him to a Catholic school, where the nuns brought out Thomas’s academic potential. Indeed, his grandfather ardently hoped that Thomas might better himself by this means.